The increase of the number of tourists is expected to reach 14%. 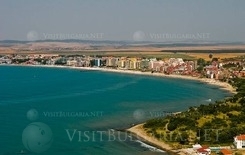 The national tourism board announced an increase in the number of tourists, visited Bulgaria. The tourism revenue is expected to be 4,5 % higher. Experts forecast that the tourism revenue might reach 2.7 milliard Euro. The national statistics institute announced an increase in the number of guests from Russia, Slovakia, the Czechs republic, Hungary and Poland, as well as a slight increase in the number of Britons and Germans. The tourism brunch plans to launch huge discounts for September and to prolong the summer season, as the weather is expected to be suitable for sun bathing.